Choosing the best material for countertops of your kitchen is one of the most important decisions you will make. Here we’ll compare three of the best ones namely Quartz Vs Quartzite Vs Granite. HGTV.com, a noted authority on décor, has declared the kitchen one of the most popular places to gather within the home. 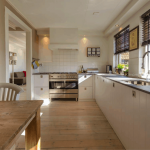 There’s something about the warmth and ambience of a kitchen that acts like a magnet, which is why every decision you make that’s related to refurbishing or designing this room must be the right one. Starting with cabinet choices, the next decision homeowners likely make are countertops. There is a dizzying array of material choices on today’s market – from concrete and stainless steel to ceramics, organic and manufactured stone. But when all is said and done, homeowners tend to gravitate toward quartz vs quartzite vs granite. How do you choose when each comes with so many benefits? Start with your budget and work your way through the following information to see what “feels” and looks right for your kitchen design. Is this an easy choice? It can be if you consider each material carefully to decide which matches your family’s lifestyle best. What will Quartz Countertops cost you? What will Quartzite Countertops cost you? What will Granite Countertops cost you? It’s a mineral known formally as quartz arenite. If you were to see it in its raw form, you could confuse it with white beach sand that’s mixed with specs of brown and pink. Quartz originates in mountains as part of the earth’s natural geological makeup. As such, it has a distinct “weathering rate” that makes it a much better countertop material than less-durable minerals. That stated, you can’t just harvest quartz and shape it into countertops without the help of other materials. Even the highest quality quartz contains only around 90-percent of this original mineral. To prepare it for molding, craftsmen mix in additives like resins, polymers and pigments to create the illusion of rock, minus the imperfections found in nature. Stylish and beautiful, quartz countertops top trend charts and come in a vast array of colors. There’s almost no maintenance involved, which is why busy families love it. Highly durable and strong, quartz resists scratches and mars and it’s engineered to repel stains. Every countertop is unique because slabs don’t conform to one color or pattern while being made. The non-porous surface stops bacteria and harmful microorganisms from impacting your food prep tasks. While quartz is an engineered stone, it’s still very pricey. If your kitchen design is provincial or “homey,” quartz countertops may look out of place. Anything that’s hot – hair dryers, pots and pans – shouldn’t be put on quartz countertops or it could crack. Quartz is extremely heavy, so take a pass if your cabinetry is less than sturdy. You may not like the fact that your countertop may have “seams” resulting from pieced quartz slabs. 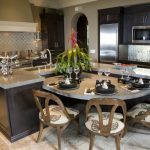 According to HomeAdvisor.com, you can estimate the cost of installing quartz countertops in your kitchen by using $75 per square foot as your base, but this figure doesn’t include installation costs. That stated, the availability of quartz has led to the marketing of different gradations of countertops that aren’t of equal quality. As a result, you can find quartz for around $50 to $60 per square foot, making this material more affordable for homeowners on tight budgets. It’s formed deep within the earth when tectonic plates converge, spewing lava through fault lines and creating mountains in the process. This is where things get interesting: quartz is altered by heat, pressure and chemical activity, which is how one gets quartzite from quartz. How tough is this derivative? Quartzite grains literally break free of quartz grains rather than just surrounding them. This mineral is most often white or grey, but if impurities are absorbed, they can tint quartzite yellow, blue, green, brown or orange. Bottom line: Quartzite is a close relative of quartz, yet there are enough differences to make shoppers sit up and take notice. Quartzite resembles marble more closely than its competitors so it looks more elegant. This is a very hard stone that stands up to punishment, especially in the kitchen. You will enjoy very low maintenance if you opt for quartzite countertops. UV resistant, quartzite is a great choice for kitchens flooded with sunlight. Choose between hard and soft types of quartzite to match your budget. While tough and sturdy, if struck with sharp edges, you can damage quartzite. Avoid placing hot pots and heated objects on quartzite or damage could result. You may have to re-seal quartzite more frequently than other countertop materials. Color choices could be limited due to the nature of this stone’s evolution. Quartzite may stain if spills aren’t wiped up fairly quickly. 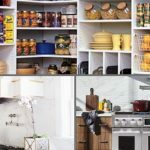 According to CountertopInvestigator.com, you can expect to find a broad range of pricing in your search for the perfect kitchen countertop. At twice the price of the cheapest category, option three can hog a major portion of your remodel budget if you’re going for optimal luxury. 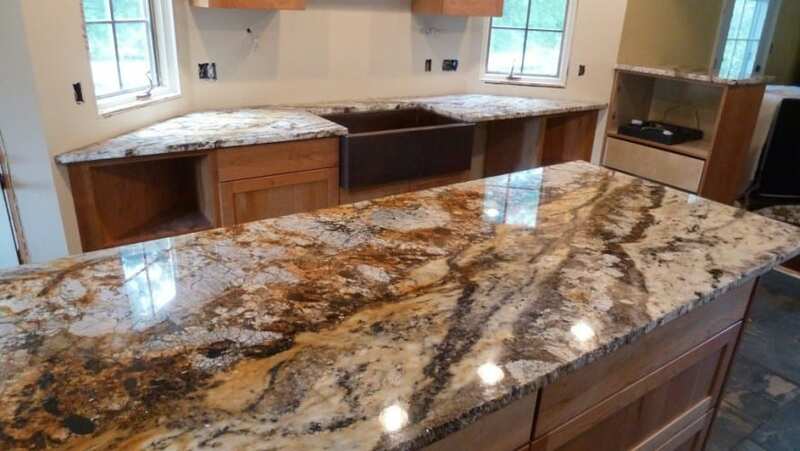 If one countertop material can be called “the king of the mountain,” it’s likely that material would be granite. Because this igneous rock is an amalgam of quartz, feldspar, amphiboles, micas and assorted trace minerals, the sheer variety of plutonic rock available for quarrying is breathtaking. If granite is composed of lots of quartz, it tends to be transparent, while a predominance of feldspar tints the rock pink or white. How did this much diversity in color of granite evolve? As molten lava bubbled upward, chemical properties changed according to the amount of time it took the rock to cool down. Granite won’t melt, blister or buckle if exposed to heat. This renewable resource is called one of the planet’s true green products. Can last a lifetime if properly cared for over time. Resists cuts and scratches from sharp edges. Wait until you see the exotic color and pattern options not found in other countertop materials. You may have to live with several seam lines, especially if your kitchen is U- or L-shaped. Granite is porous so it must be re-sealed periodically to maintain its veneer. Tends to be more expensive than competitor materials. The more exotic the granite, the higher the tab. Low-cost granites are beginning to impact market sales, so be sure to get what you pay for. Despite its versatility, colors and patterns can be limited, especially if you must match up slabs. Despite its reputation for being the material most likely to wind up in estates and mansions, granite is becoming more affordable thanks to different grades of this stone that are becoming more available. According to HGTV.com, you can expect to pay between $45 and $200 per square foot. Why the difference? Thickness has become a major factor in granite countertop sales, thus this price range is for stone that measures between ¾-inch at the low end, and 1-1/4-inch thick at the top end. It’s a battle that originated deep in the earth’s core when lava bubbled up and chemical reactions produced two similar materials from the same source. 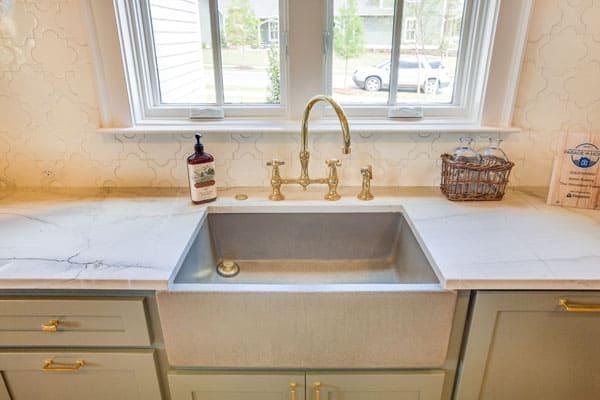 Because quartzite is a naturally-occurring mineral, these countertops are crafted from quarried slabs rather than molded into shape like quartz. That said, quartz is often the choice of homeowners who dislike manufacturing inconsistencies found in quarried rock like quartzite which will reflect natural “deviations” in surfaces. This may incentivize you: you’ll pay less for the perfection that comes with quartz. But here’s a maintenance question you’ll want to ask yourself: Are you up for having your quartzite re-sealed over time? You don’t have to worry about that with quartz. Decisions, decisions. This is no easy task because both quartz and quartzite are beautiful and will showcase your kitchen in ways other materials won’t. You might call this Mother Nature’s battle because these two materials are 100-percent natural, so if you’re purist, they both present as competitive picks. 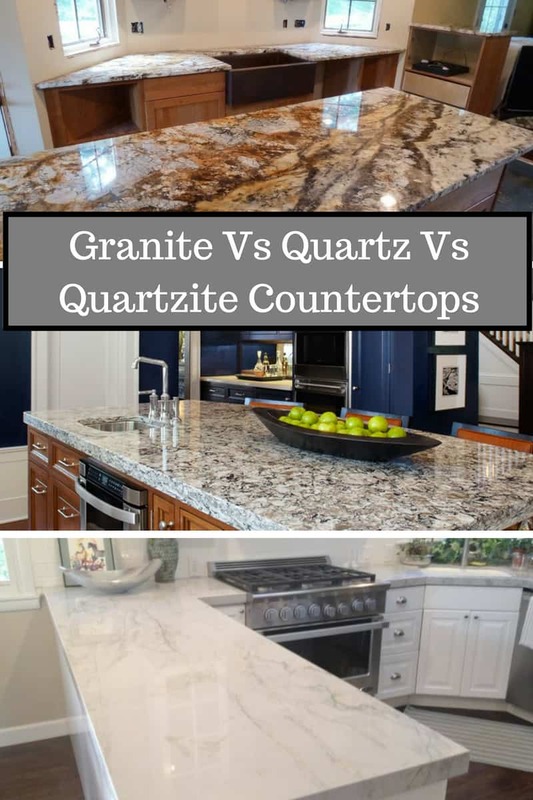 But here’s a factoid to drop next time you debate these two countertop options: both materials contain elements of quartz, but it’s not the same “quartz” found in engineered countertops. Though quartzite and granite may both come from the center of the earth, they’re like twin sons of different mothers. One (quartzite) has a design edge because this mineral comes in lighter colors and patterns that resemble marble, while granite patterns tend to be bolder and more attention-getting. 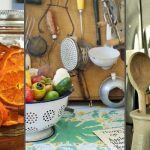 There are so few differences in each mineral’s strength and durability, making a case for either could be tough, especially since both types must be sealed to protect surfaces from scratches, etching and stains. So where are the differences, you ask, besides color intensity? According to blog editors at msistone.com (and this is good news if you crave granite), you’ll save money by installing granite – just as long as you don’t pick a rare or hard-to-find grade. 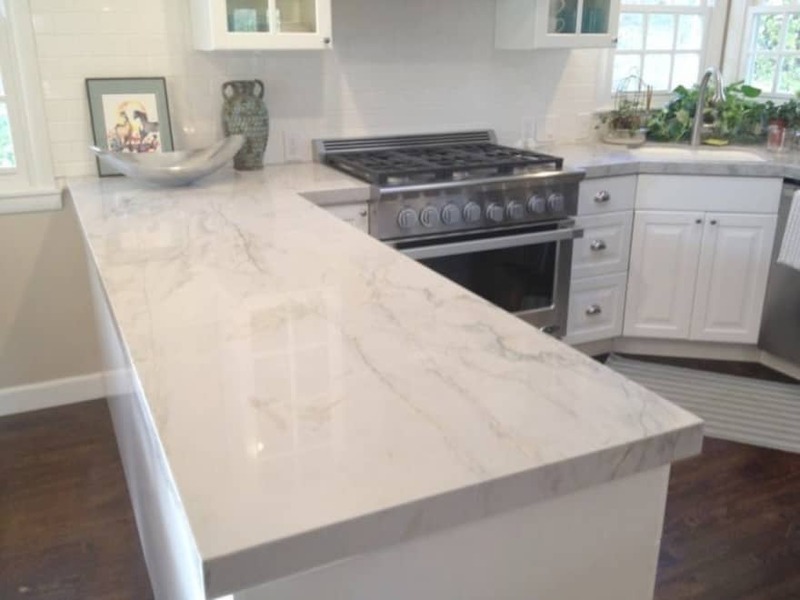 If you haven’t been seduced by the lure of organic rock and you’re eager to explore the advantages of a manufactured material like quartz over granite, you’ll find plenty of differences. You already know that granite is 100-percent organic while quartz is made with aggregates that bind quartz particles, so a better place to begin a comparison is price- right? Not so fast, say editors at The Spruce, who remind homeowners that both are subject to price fluctuations based on the rise and fall of petroleum prices. And if you followed the brief but disturbing 2008 radon story that tied the radioactive gas to granite and quartz, you no longer have to worry because this whole avenue of investigation proved a waste of time. 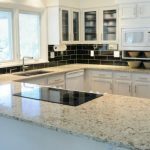 On the other hand, here’s one slight difference you can count on: Granite will require a little more maintenance than quartz because you must maintain a sealing schedule. Quartz is less likely to stain while granite loves red wine as much as you do, so stock up on coasters if you choose the latter! Are you a perfectionist? Quartz could make you happier now and later since flaws are engineered out during the manufacturing process. Additionally, even perfect-looking granite can hide cracks and blemishes that could show up in the future. A final note: because quartz is made with recyclable waste, consumers dedicated to sustainable living prefer quartz over granite and quartzite because they’re committed to saving the earth, one countertop at a time.